This wonderful rental property is a taker! 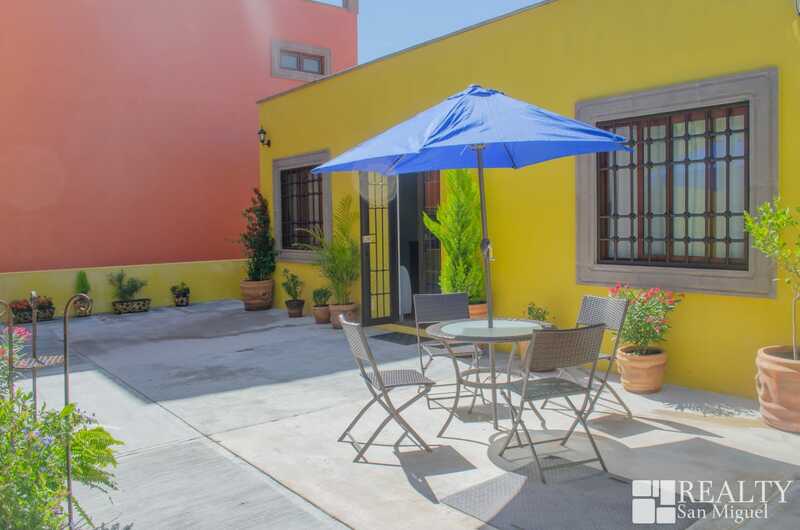 A true opportunity for anyone wanting to spend a glorious time in San Miguel de Allende. 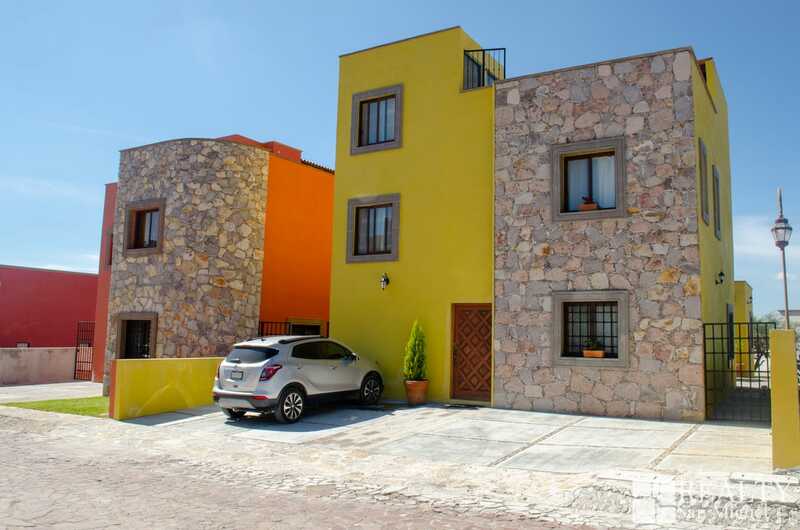 It’s strategic location places it on a perfect spot which will enable the renter to stay connected with the city, while living in a calm, secure neighborhood, as is the case of El Capricho. 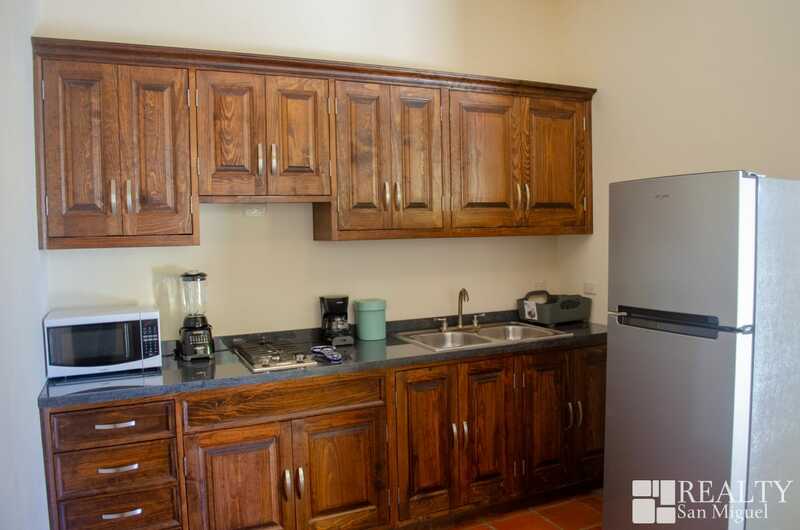 Located on the top floor, this apartment brings forth some very appealing features. 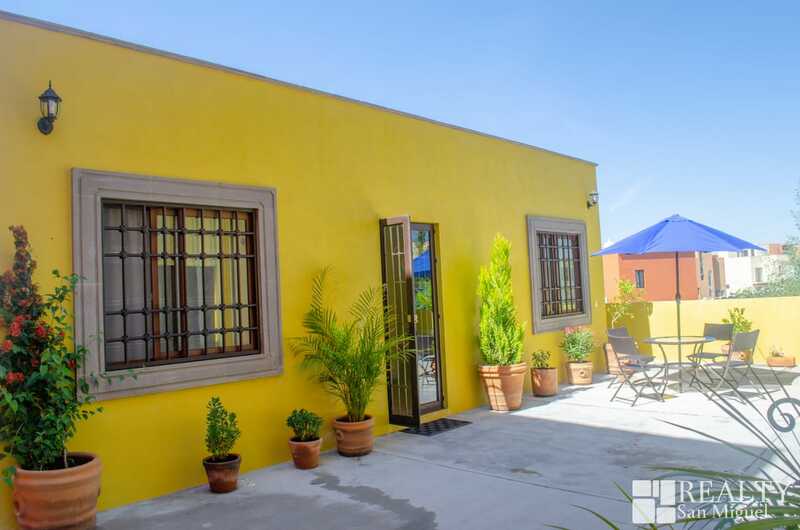 Its elevation creates the essence of living on a neatly designed terrace which portrays a delightful view to Guanajuato’s stunning ridges. The property includes one cozy bedroom, a full bathroom, and a charming kitchen and living area; as well as a spacious terrace which is perfect for reading a book and enjoying the dashing scenery. 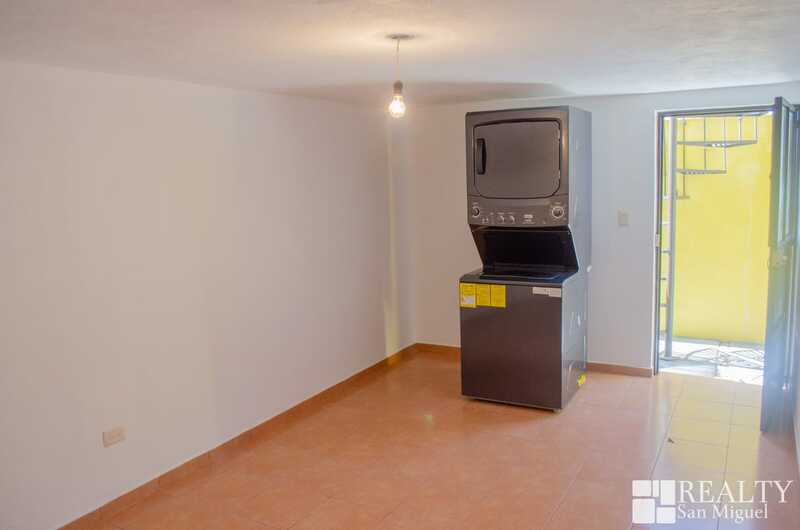 It comes fully furnished with all services included, having a maid that will come to clean the apartment twice a week, and is guaranteed to be a secure place due to El Capricho’s security. 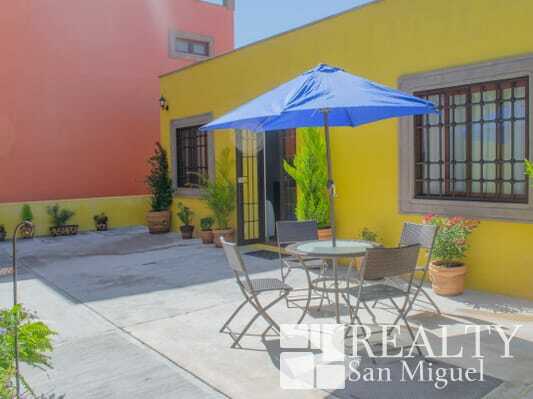 It truly is a great opportunity for anyone interested in obtaining the full San Miguel experience while still obtaining a calm stay in the city. Pets are more than welcome!